While the holiday season is upon us, it´s time to dust of the wheel (or even attach the new wheel you got for Christmas). Join us in a multiple day challenge, each day a new track is waiting for your fastest lap. Time to warm up for our Q1 competitions that is waiting in 2019. Sean_S36, bwana, Launger and 1 other person like this. The link to Steam, can you reach that from inside steam instead of through browser and then having to add login/pass? GeraArg and Sean_S36 like this. Did you test Workshop in Steam? Silverstone should install automatically with rFactor 2 afaik. Do we have to log into steam for every session or is there some direct link once you have been verified? I cant join. I keep in this page and I cant do anything. I think the gt3sebring.rfmod didn't download well. Any help. Thanks buddy but I uninstall and reinstall, I still have the same problem. 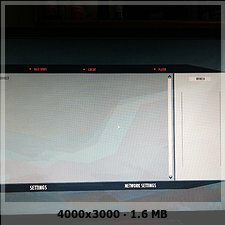 have a manual look at packadges in the launcher. I had the same issues. When I looked at packadges there where 2 gt3sebring versions instaled (v1.0 and v1.1) . I did some laps a couple of days ago on sebring. uninstalled en deleted both. Josecarfr and GeraArg like this. start the launcher, go to the packages tab and delete gt3sebring.rfmod. first uninstall and then delete. it should work after doing this. Alex72, Josecarfr and GeraArg like this. Thanks to all for the help!!!!!!!!!!!!!!!!!! Now I can go in and see how fast are the aliens compared to me!!! pkelly, Sean_S36 and Alex72 like this. to enter a password is required, maybe the registrations are already closed? There were not set a password on our holiday hotlap competition, you are probably trying to enter another one which is not open to you. @Jimmi Allison BTW, is there a way to see which competitions are running, without to have to login somewhere. And if not, will or can we get it? You can see the results once you are logged in, but not really see if they are running or not until you go to the specific one. The hint with the new UI sounds good and thank you for the link to the standings page. Would love to join this, but i dont get why i cant get an answer if we can sign up without doing it through the browser and do it in Steam directly?